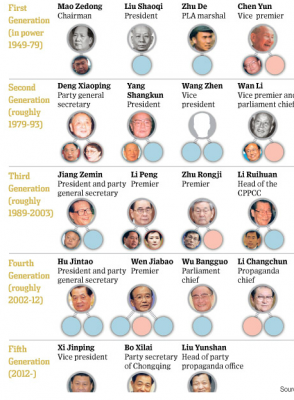 Wall Street Journal has created a wonderful interactive map that traces five generations of blood ties of China’s ruling elite. The offspring of party leaders, often called “princelings,” are becoming more conspicuous, through both their expanding business interests and their evident appetite for luxury, at a time when public anger is rising over reports of official corruption and abuse of power. A common conversation among Chinese people is the recklessness of children of wealthy government officials, otherwise known as, 富二代. The article points out that even The People’s Daily acknowledged the problem in a poll last year with over 91% of respondents agreeing that wealthy families have political connections. It’s good to know that articles such as this WSJ piece are inspiring Chinese writers to report on this topic. Read and interact with the full WSJ article here. *thank you to Chris Chang for referring me to 看中国 version of the WSJ article. ◆ Tricia Wang observes how technology makes us human. Her ethnographic research follows youth and migrants as they process information and desire, remaking cities and rural areas.